cial nucleus to allow axial compression and a woven ber annulus for controlled range of motion in all six degrees of freedom. This physiologic motion is intended to preserve segmental motion and possibly prevent or delay additional adjacent level degeneration. 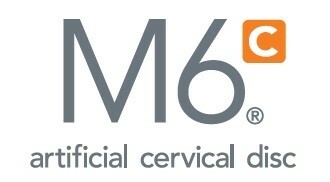 cial ber annulus and nucleus construct of the M6 is the critical component in replicating this physiologic motion, as it is designed to provide the necessary restraint and control needed throughout the spine’s natural range of motion.